On the occasion of the World Ocean Day in June 2015 the Blue Octopus was created as a symbol for the clean waves around Ericeira in Portugal – the world’s first and only World Surfing Reserve in Europe! 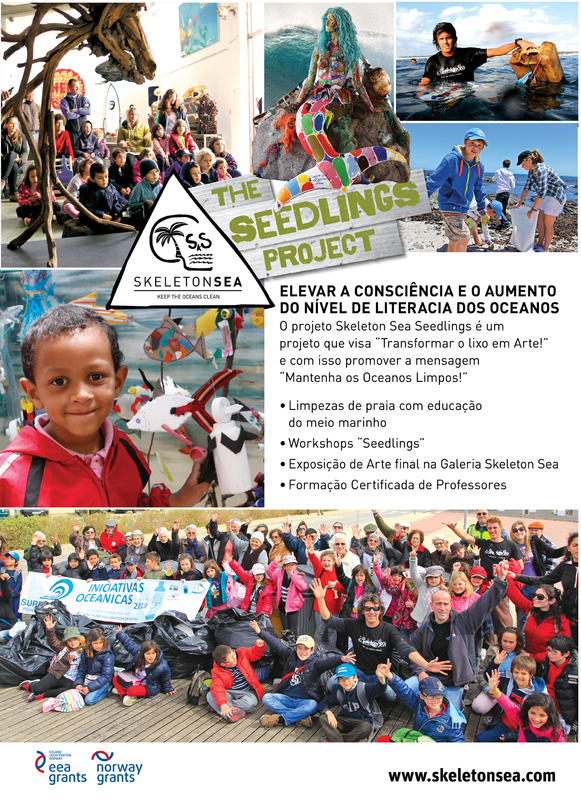 In the week preceding the World Ocean Day Skeleton Sea cleaned the beaches around Ericeira with local school kids. They then turned the waste into art including the eight arms and head of the Polvo Azul. Forget about the past … we are the survivors. We do not need to sleep, we do not need to live together as a group. We have more than one brain and we are able to solve problems and hide without anyone being able to discover our stalking. 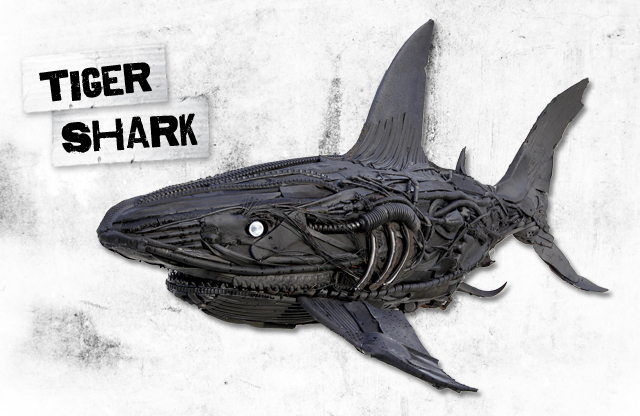 We know how to defend ourselves against our adversaries, it does not matter if it is a shark or a human. We do not have bones that allows us to escape from the impossible. Plastic is not our problem, we can survive it. Our biggest enemy is the human who cuts us into pieces for salad. The human that warms up the world while destroying our ecosystem. on the day of the uprising we will fight to death. UM OCEANO EM MUDANÇA – LIMPEZA DE PRAIA em cooperação com Ocean Hope, Futurix e Skeleton Sea promovido pelo Gabinete do Parlamento Europeu e pela Representação da Comissão Europeia em Portugal. O que as ondas atiram para as nossas praias é apenas uma pequena fração da matéria artificial que se encontra nos nossos oceanos e os conspurca. O que se passa com os nossos oceanos? Ainda que por vezes pareça que se ruma em direção ao desconhecido e que a poluição continua a aumentar, o título emergente “Um Oceano em mudança” representa uma transição positiva para as águas atormentadas: respeito pela natureza, prevenção de lixo e medidas para devolver a saúde aos nossos mares. A “Skeleton Sea – Arte do Mar” exibirá duas das suas emblemáticas obras de arte: “Mermaid” e “Abyss”, ambas criadas a partir de lixo retirado do mar. A cooperação entre três iniciativas ecológicas localizadas na área de Lisboa, em parceria com o Gabinete do Parlamento Europeu e a Representação da Comissão Europeia em Portugal, é muito mais do que um sucesso temporário e conta com o envolvimento ativo da população. “Um Oceano em Mudança“ é o mote para uma atuação conjunta, tanto com a natureza como pela natureza e que, posteriormente, pode ser exibida. A campanha primaveril que decorrerá ao longo de mais de oito semanas não só irá atrair a atenção para a proteção da natureza e do meio ambiente, como irá também ser incorporada na vida quotidiana da população. A campanha será constituída por três fases: “Limpeza de Praia“, Workshops “Transforma o Lixo em Arte“ e numa exposição das obras criadas, a ter lugar na “Praça da Europa“, em Lisboa. O lançamento da limpeza de praia terá lugar no dia 25 de abril de 2019, na Praia da Foz do Lizandro, na Ericeira, em plena costa atlântica, onde as vagas de primavera trazem consigo algum lixo para a costa; sujidade, detritos e objetos estranhos. Coisas que não pertencem ao mar. Coisas que não são feitas naturalmente pelo mar. Destroços, despojos, cargas que caiem ao mar. Podemos imaginar aventuras e histórias engraçadas escondidas em alguns dos objetos que dão à costa, mas a maioria não tem qualquer significado nostálgico. Em vez disso, representam uma terrível ameaça à vegetação e às diversas formas de vida marinha. Um monte de lixo que não deve ter lugar no mar e, na sua generalidade, devia ser evitado. No entanto, no dia 6 de abril, entre as 10h e as 13h, pelo menos a praia da Foz do Lizandro será libertada. Uma semana depois, o lixo recolhido a partir da limpeza de praia será então processado. Os artistas do “Skeleton Sea”, Xandi Kreuzeder e João Parrinha, trabalharão com grupos de crianças. A criatividade existe em todos nós e qualquer um de nós e todos juntos podemos fazer algo a partir do desperdício que o oceano nos devolve. A inspiração é dada pelo imponente “Polvo Incógnito”, o incognito octopus, que será exposto na Praça da Europa em Lisboa até ao dia 8 de junho de 2019 – o Dia Mundial dos Oceanos, juntamente com os vencedores do concurso internacional de fotografia “I live by the Ocean”. 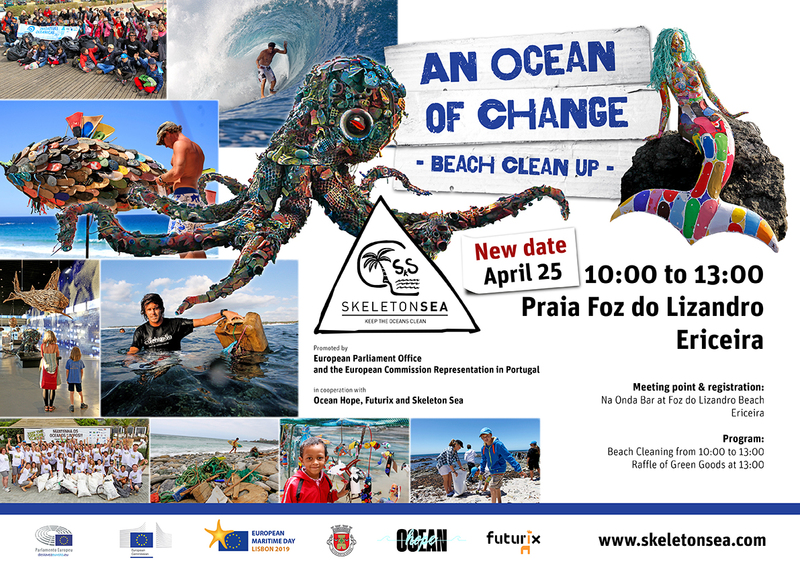 An Ocean of Change – Beach Clean Up by Skeleton Sea in cooperation with Ocean Hope and Futurix promoted by the European Parliament Office and the European Commission Representation in Portugal. What waves spit out onto our beaches is only a mere fraction of the unnatural things clogging up the oceans. What is happening to our oceans? 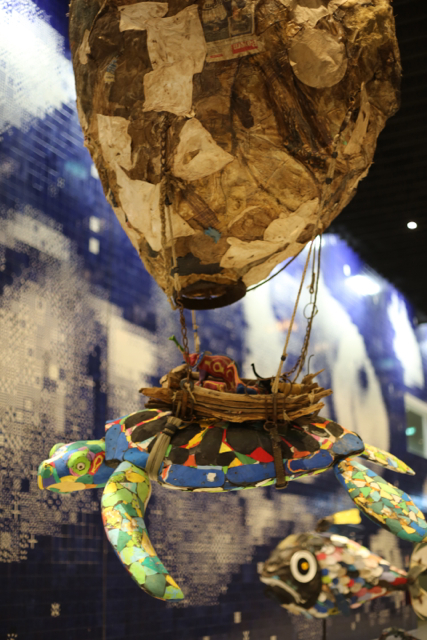 Even as they slosh towards a gaping unknown, where their pollution continues to increase, the emerging title „An Ocean of Change“ represents a positive transition amid a torrent of watery woe: respectful treatment of nature, prevention of rubbish and taking measures to return health to our seas. The 2019, the European Maritime Day– EMD 2019 will take place on the 16th and 17th of May in Lisbon. The focus of the EMD2019 will be on blue entrepreneurship, innovation and investment to transform traditional maritime sectors and boost emerging technologies and value chains. A specific focus will be put on research and innovation for a plastic-free ocean. 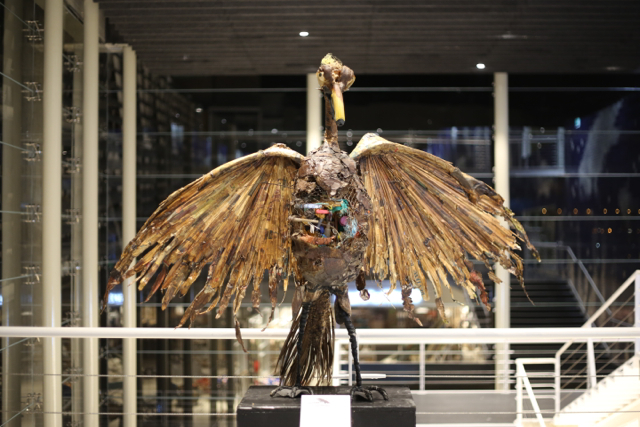 „Skeleton Sea – Art from the Sea” will exhibit two of their renowned works of art: “Mermaid” and „Abyss“ both created using ocean refuse. 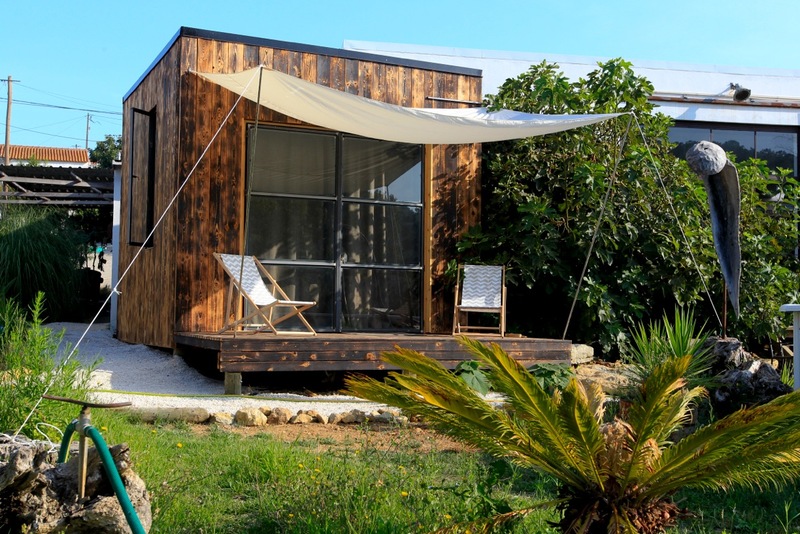 The cooperation between three eco-friendly initiatives located around Lisbon in partnership with the European Parliament Office and the European Commission Representation in Portugal is far more than simply a temporary success and actively involves the population. 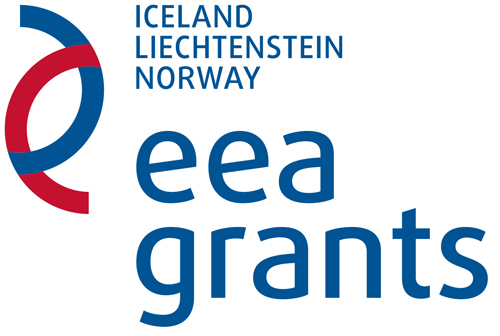 „An Ocean of Change“ is the slogan under which something can be done together, both with and for nature and then be exhibited. The eight week plus spring campaign not only garners attention for the protection of nature and the environment, but also transfers it into everyday life. 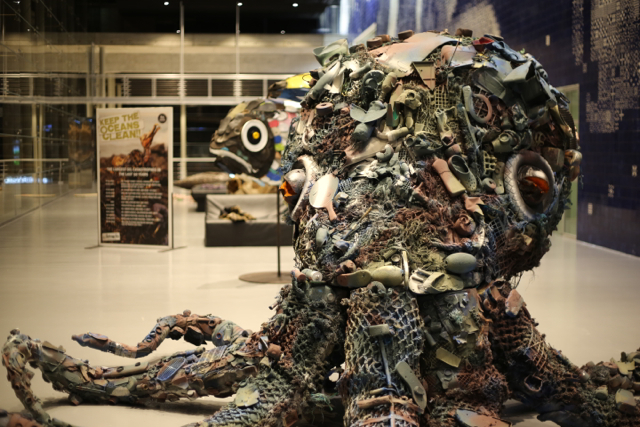 The three-part campaign consists of „Beach cleaning“, „Turn Trash into Art“ workshops and the exhibition of those works at the „Praça da Europa” in Lisbon. 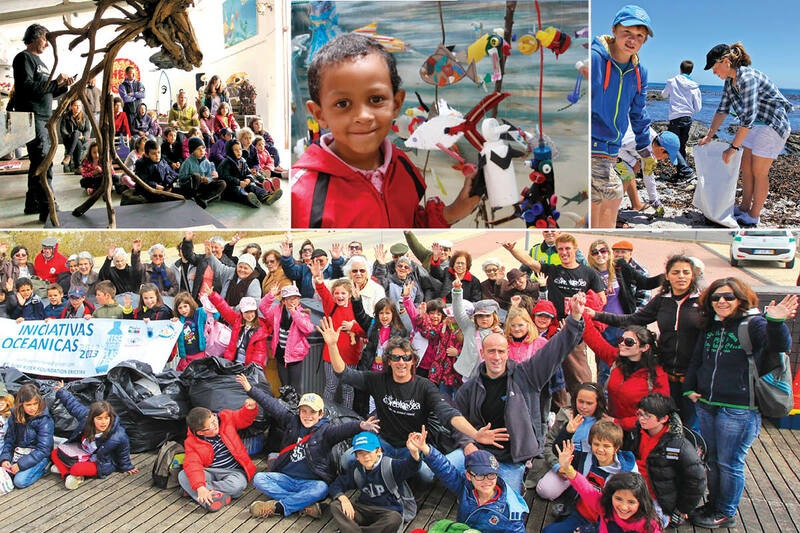 The beach cleaning kick-off will take place on the 25th April 2019, on the Foz do Lizandro Beach, in Ericeira, right on the Atlantic coast where the spring storms bring along a flotsam of rubbish onto the shores; filth, litter and oddities. Things that do not belong in its waters. Things that are not made naturally from the sea. Flotsam and jetsam, cargo dropped overboard. Adventurous and funny stories are hidden within some of the objects that are left washed ashore, but the majority have no nostalgic backgrounds. Instead, they pose a terrible threat to vegetation and lifeforms in the water. A heap of garbage that has no place in the sea and should generally be avoided. 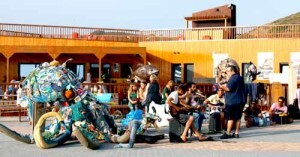 However, on the 6th April, between 10am-1pm at least the Foz do Lizandro beach will be freed from it. One week later, the trash will be processed from the beach clean up. 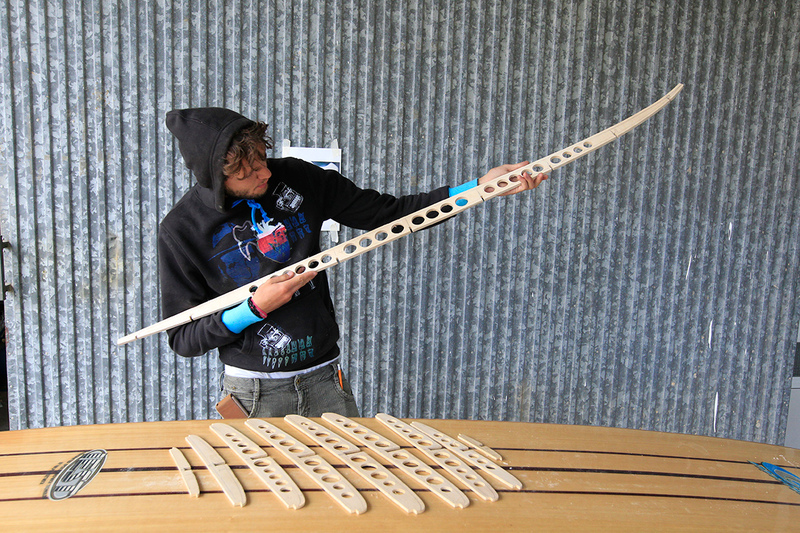 The Skeleton Sea artists Xandi Kreuzeder and João Parrinha will work with children. 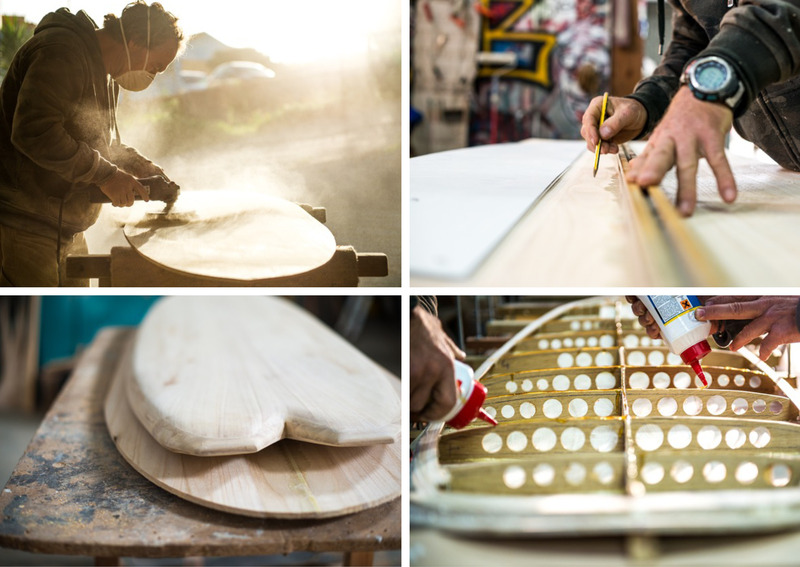 Creativity exists in all of us and anyone and everyone can make something out of the waste the ocean has spat back out at us. 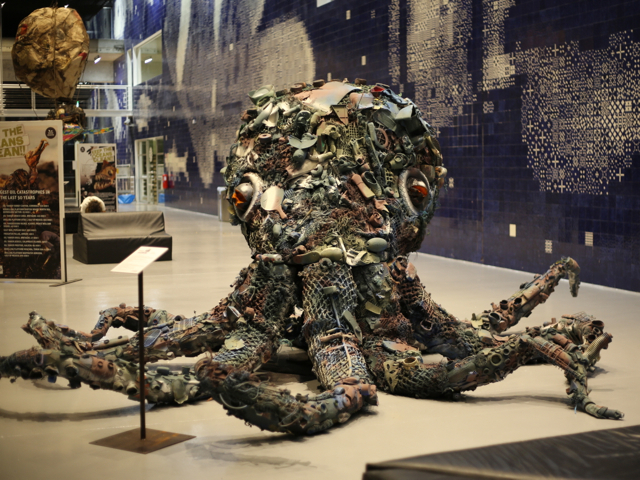 Inspiration is provided by the imposing „Polvo Incognito“ the „incognito octopus“, who will be emblazoned on the „Square of Europe” in Lisbon until the 8th June 2019 – the annual World Ocean Day, along with the winners of the international photo competition “I live by the Ocean”. An Ocean of Change – Beach Clean Up in Kooperation mit Ocean Hope und Futurix von Skeleton Sea gefördert vom Europäischen Parlamentsbüro und der Europäischen Kommissionsrepräsentanz in Portugal. Was die Wellen ausspucken und an den Strand spülen, ist ein Bruchteil dessen, was alles in den Ozeanen an Unnatürlichem herumgeistert. Wohin wandelt das Weltmeer? Ehe es zukünftig vollends ins Schwarze Unbekannte schwappt, die Verschmutzung der Ozeane weiter zunimmt, ehe das passiert, dreht sich der Titel „Weltmeer im Wandel“ ins Positive: mit respektvollem Umgang mit der Natur, der Vermeidung von Müll und mit Maßnahmen, den Meeren ihre Gesundheit zurückzugeben. Organisiert vom Europäischen Congress und der Republik Portugal findet am 16./17. Mai 2019 in Lissabon der „European Maritime Day“ statt. Einen speziellen Fokus setzt die jährliche Konferenz diesmal auf die Forschung und Erneuerung für einen gesunden Ozean. „Skeleton Sea – Art from the Sea“ stellt dabei zwei seiner renommierten Kunstwerke aus: „Mermaid“ und „Abyss“. Arbeiten, die aus Trash aus dem Ozean entstanden sind. Die Kooperation zwischen drei rund um Lissabon ansässigen Umwelt-Initiativen und den offiziellen Stellen der Europäischen Union ist weit mehr als eine Eintagsfliege – sie bindet die Bevölkerung aktiv mit ein. Unter dem Slogan „An Ocean of Change“ wird gemeinsam etwas in und für die Natur getan und zur Schau gestellt. Durch diese über acht Wochen laufende Frühlingsaktion wird die Aufmerksamkeit zum Schutz der Natur und Umwelt geweckt und in den eigenen Alltag transferiert. 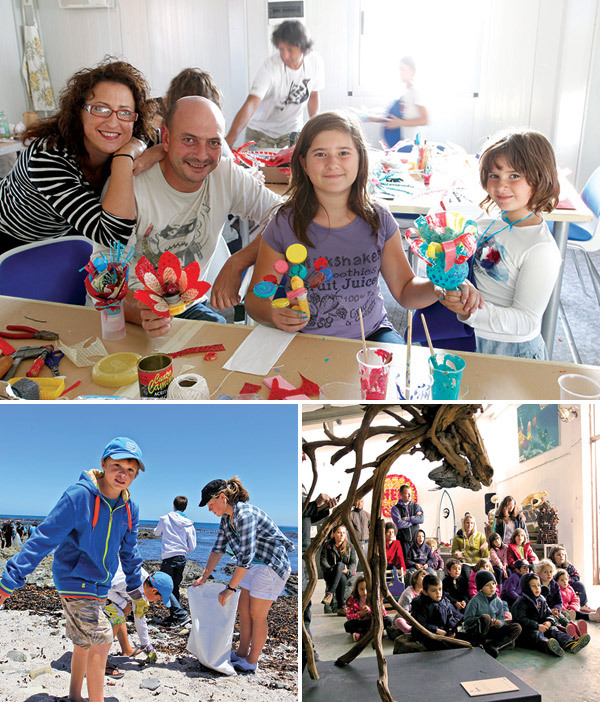 Die dreiteilige Aktion besteht aus dem „Beach Cleaning“, aus „Turn Trash Into Art“ Workshops und der Ausstellung der Werke auf dem „Europaplatz“ in Lissabon. Den Auftakt macht am 25. April 2019 das Beach Cleaning am Strand von Foz de Lizandro in Ericeira, direkt am Atlantik. Die Frühlingsstürme bringen alles Mögliche ans Ufer. Unrat, Müll, Seltsames. Sachen, die dort so nicht hingehören. Dinge, die nicht natürlich aus dem Meer entstehen. Ballast und Treibgut, über Bord gefallene Ladungen. Abenteuerliche und lustige Geschichten stecken in einigen Gegenständen, die angeschwemmt werden. Die Überzahl hat keine nostalgischen Hintergründe, sondern ist eine schreckliche Gefahr für die Vegetation und Lebewesen im Wasser. Ein Haufen Abfall, der nicht ins Meer gehört, und den es generell zu vermeiden gilt. Der Strand von Foz de Lizandro wird davon befreit. Am 6. April 2019 von 10 bis 13 Uhr. Eine Woche später wird der Trash aus dem Beach Clean Up verarbeitet. Die Workshops mit den Skeleton Sea Künstlern Xandi Kreuzeder und Joao Parrinha sind öffentlich. Kreativität steckt in jedem Menschen. Jeder und jede darf sich ausleben und aus dem Unrat, den der Ozean ausgespuckt hat, etwas gestalten. Inspiration dazu liefert der imposante „Polvo Incognito“, der „unerkannte Oktopus“, der bis zum 8. 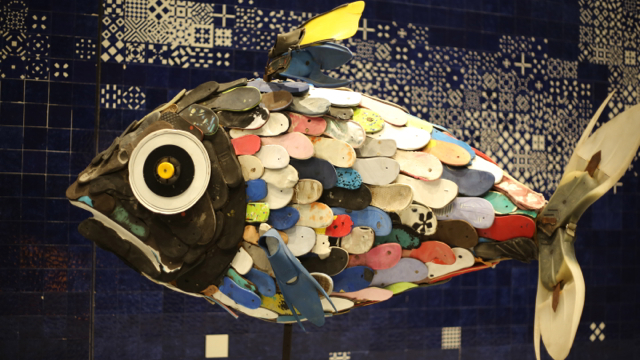 Juni 2019, dem jährlichen World Ocean Day, am Europaplatz in Lissabon prangt, genauso wie die während der „Turn Trash into Art“ Workshops entstehenden Werke. destruction of habitat and more. The recovery of this little seal will take a substantial amount of time and her life will consist of a mixture of painkillers and antibiotics for months to come. It is impossible to know where the single piece of wire that did such massive damage came from or how long it had been floating in the ocean. Its presence is evidence of a phenomenon known as “Ghost Fishing”, where countless abandoned nets are still catching fish in some form with no human to benefit, only a blue grim reaper of death drifting in the open sea. It is further concerning then that we don’t really know how much of this plastic line, also known as “Ghost Gear”, is out there still collecting fish in the ocean in total. Yet we are clearly starting to see its impact. While it’s difficult to know exact figures, a “2012 report from World Society for the Protection of Animals indicates that between 57,000 and 135,000 whales are entangled by plastic marine debris every year in addition to the inestimable – but likely millions – of birds, turtles, fish and other species affected by plastic marine debris.”, reports Parley for the Oceans, a company that addresses major threats towards our oceans. While we do hear about seals washing up on different shores being rescued, often with torn up necks fighting to stay alive, what about the seals who remain in these “ghost nets”? In the ocean, ghost nets are frequently hard to find and capture, and the chances of cutting seals free are even less likely. Seals which approach the nets to eat dead fish already entangled are themselves at risk of getting caught and dying, which in turn attracts larger predators such as sharks and whales to their corpses, who then become trapped themselves. The National Marine Fisheries Service reported an average of 11 entangled large whales per year from 2000 to 2012 along the US West Coast. Where does Ghost Gear come from? When fishing boats throw their netting overboard to catch fish, mostly they recall them full of the shoal they aimed for. But from time to time the large nets either become old, damaged, or caught in a sea storm — taken deep into their not-so-final resting place. 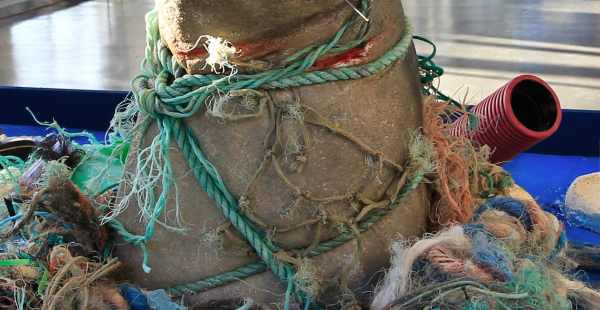 More commonly nets become tangled up on a number of items underwater from coral to rocks. The netting becomes very tricky or even impossible to draw back on to the boats. Crews have few choices in how to deal with the situation of their boat being currently attached to a rock, and some fishermen cut the net and sail away leaving their equipment floating in the ocean. The Food and Agriculture Organization claim that at least 10% of all marine litter is made of these nets. The nets are often made of artificial polyamides like nylon which are toxic and never biodegrade. The nets after many years may break down into smaller parts, and though this is unlikely, it has the potential to cause the creation of microplastics — a large-scale problem for smaller marine life, and in turn ourselves as some fish we eat is now found to have plastic in it too. It is certainly worth reviewing if we need to use these materials to make the nets in the first place as early nets were often woven from grasses, flaxes and other fibrous plant material such as cotton, and are still in existence yet rarely used. This is another case of plastic being cheaper and easier to produce, and the lower prices being paid by us are at a high cost to marine life. On the very same day that we read the story about Puri, we completed our newest piece of the Skeleton Sea collection: ‘Ghost Seal’. We knew we had to name the ghost seal Puri after this brave animal. 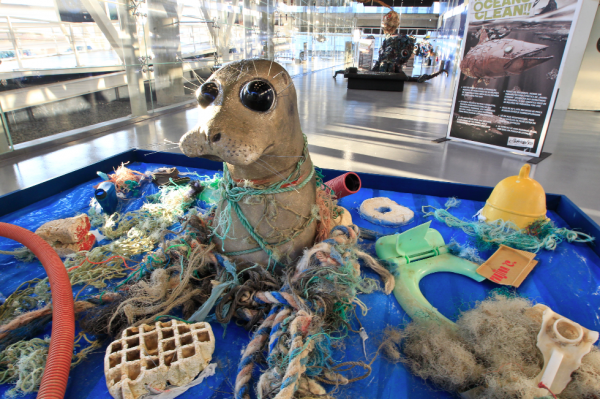 ‘Ghost Seal’ focuses on one of our three main concerns: marine pollution. 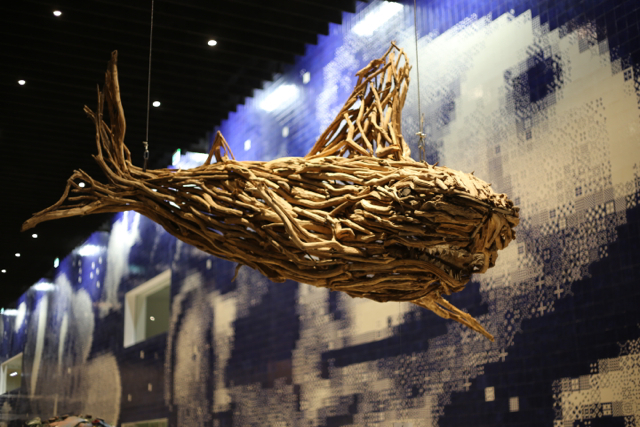 It expresses a seal’s struggle against ghost fishing and marine debris. 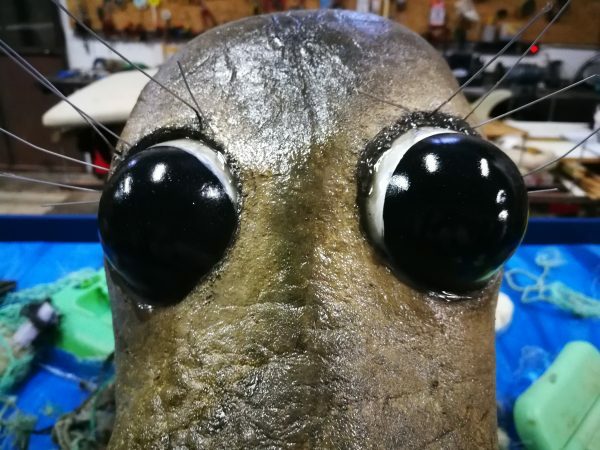 The eyes of the seal capture the moment when it feels so helpless, tangled and unable to escape, that it knows it is going to die and is already a ghost. The mixed media sculpture uses wires, nets and real marine litter we found washed up on the beaches of Ericeira, Portugal near our workshop. 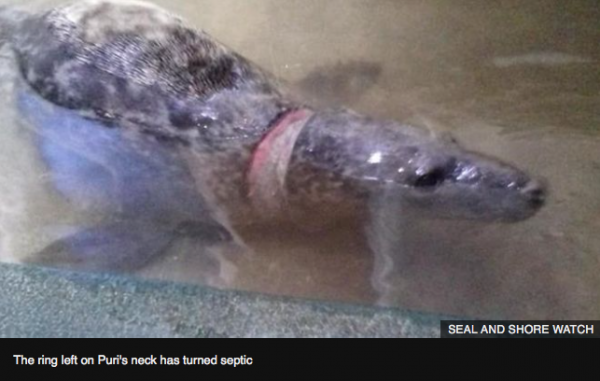 We thought it was important to see the wire going deep into the neck of the seal, as this accurately shows the strangulation occurring and reflects how when a seal struggles more and more the ropes get tighter and tighter, not only stopping the seal from feeding and moving, but also breathing. Unless the seal is cut free by a human with a knife, it will almost certainly die of starvation, strangulation or dehydration. Activists, change makers and local residents collecting litter are fighting back. Parley for the Oceans have started the Global Clean Up International Network which consists of partners working to “remove plastic debris from coastlines and intercept it in remote areas, where no solid waste management exists”. Bionic Yarn have found a way to reuse ghost nets by collecting them by the tonne, melting them down and spinning them out into new yarn to make new fabric. This and other similar projects find a way of turning garbage into a commodity in order to shift perception. Recognizing the importance of talking about this issue with the future generation who’ll inherit it, author (Skeleton Sea collaborator and author of this post), Nicola Leigh has written a book specifically for younger readers named Blue Spaghetti. By following the story of Albert Ross The Albatross, her aim is to give concerned adults or children a tool to open up a conversation together about ghost nets, as it is not always easy to find the right words to describe their terrible effects on children’s favorite animals. The World Animal Protection Organisation (WAPO) have set up the Global Ghost Gear Initiative (GGGI) “which brings together governments, private-sector companies, and non-governmental organisations to tackle the problem”. Fishing for Energy have collected 2.8m pounds of fishing gear from bins placed in 42 communities across the US since 2008. The best news to end ghost fishing that came out of 2018 so far was from the European Parliament Fisheries Committee in England who have overwhelmingly backed Conservative MP and animal welfare campaigner, John Flack’s campaign to reduce the number of abandoned fishing nets. Set up port reception schemes where financial incentives are offered to fishermen for returning unwanted nets. 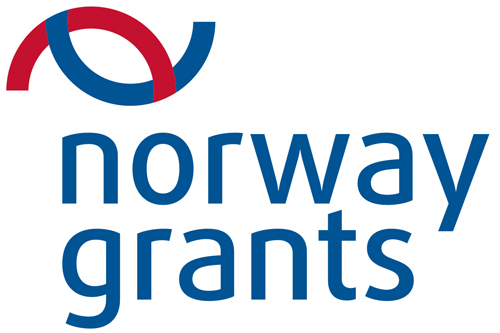 Incentivise vessels to use technology to track and if necessary retrieve their lost nets. Support research into biodegradable nets to speed up their development. 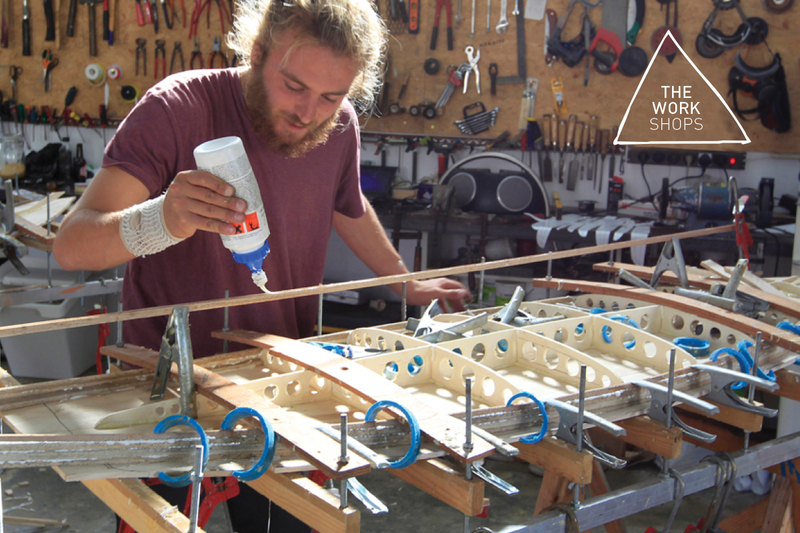 You can find more out about him and his ghost fishing campaign here. So how can we help combat this issue at home? 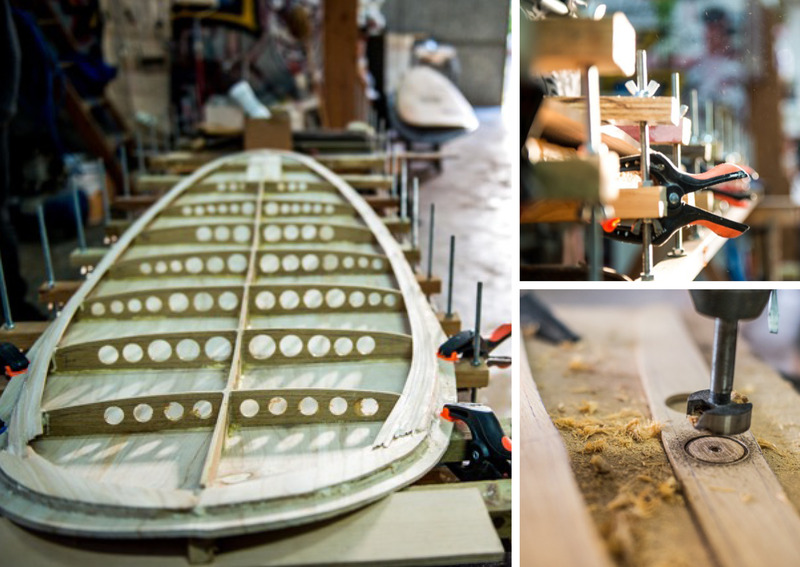 We don’t typically go out with fishing nets for a day at the beach – so how can we help? We can change our diet: by not personally consuming fish, you will not be contributing to the industry. 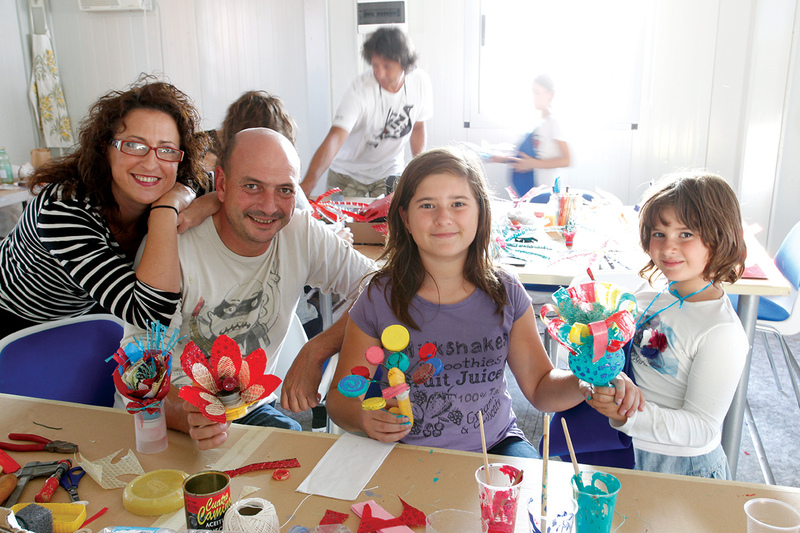 However, this isn’t for everyone and doesn’t remove the waste we currently have floating in the sea. By becoming a member of a charity such as Surfers Against Sewage, you can stay updated on news around this subject and get involved in local beach clean-ups. 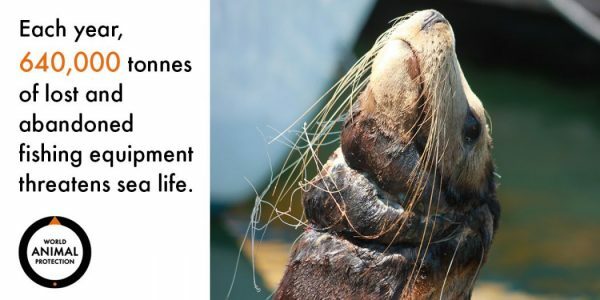 However, the truth is that this is a substantial problem without a direct way for us to reduce our use of fishing line, like we could our shampoo bottles, toothbrushes or shopping bags. As Mike Baker, CEO of the WAPO says, “It’s so easy to highlight the problem, you can show pictures with seals being caught in nets with their heads being gouged, but actually solutions are what’s important”. So what are they Mike? The problem is with the manufacture of these nets, the rules in place about their removal, and resources for disposal, recycling, and marine rescue. Unfortunately, these solutions are not entirely on us as consumers, and there is still little we can do daily other than help via our food choices and protest the places where we do frequent, such as supermarkets. The GGGI is calling on supermarkets to “play a role in fighting ghost gear by demanding their fish suppliers change the way they operate” and you can sign their petition and receive email updates to monitor the GGGI and see if their dream of seeing net recycling systems appearing at every port comes true. Ropes thrown into the sea, a used hook that drifts away, a piece of unusable plastic that by carelessness, recklessness or laziness is floating, looking for a victim. Nothing can destroy it, it will bat through the ocean until it finds one martyr. Drowning, suffocation, destruction and death. A human product becomes an invisible killer that does not allow escape. A necklace of nets and hooks embellishing a death. Look at the fear in their eyes, observe the desperation in their body, feel how life escapes little by little, maybe next time do not cut and throw away ropes that can take away so many lives … maybe you pick them up when you step over them on the beach or find them floating in the water. Puri is now in the care of the RSPCA and you can track her at @rspca_east_winch on Instagram. Many thanks to @sealandshorewatch for keeping us updated on her condition. 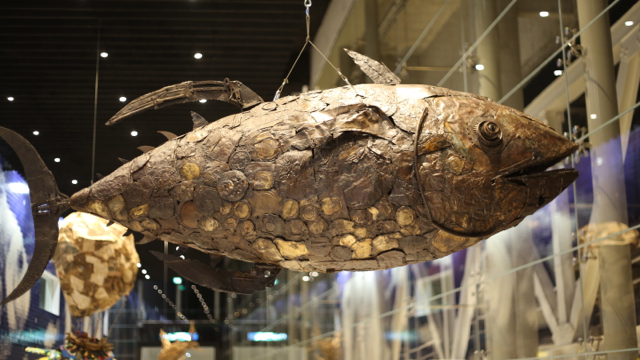 You can still visit our exhibition in the main lobby of the Lisbon Oceanário and see other pieces from the collection until the end of the year.